A campus view of Temple University with the well-known bell tower in the background, in 2011. 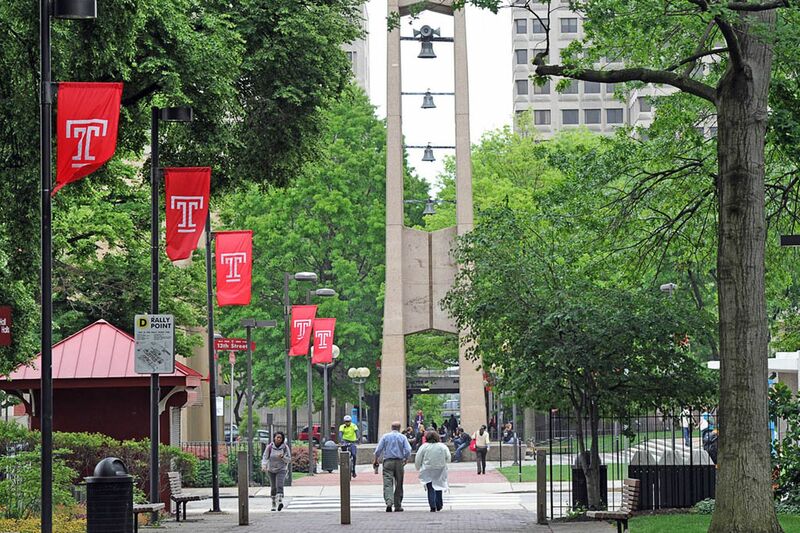 Temple University aims to soon become a tobacco-free campus. Youth smoking trends in Philadelphia are changing. Now the city’s lost a major tool to stop that. “After extensive data collection and review, the task force recommended Temple should join the growing number of universities that are committed to the creation of a healthier working, learning and living environment,” Englert wrote in the message. An existing Temple policy bans smoking within 25 feet of a building’s entrance. Officials hope to have the new policy, which will “eliminate the use of all tobacco products,” including cigarettes, hookah, and e-cigarettes, in indoor and outdoor spaces throughout Temple’s U.S. campuses, ready by July 1 and implemented for the fall 2019 semester. Temple has campuses in Philadelphia, Ambler, and Harrisburg. The university has overseas campuses in Rome and Tokyo. The task force called for a tobacco-free, clean-air policy and included recommendations such as educational and marketing efforts, introducing new signage, prohibiting ashtrays, and barring the sale of tobacco on campus, according to the report. A survey sent to students, faculty, and staff found that about 64 percent of students who participated said they didn’t smoke cigarettes, but 43 percent said they were often exposed to secondhand smoke on campus. The report, which noted that Philadelphia has the second-highest smoking rate among the 30 largest U.S. cities, was submitted in May 2018 and said the university “lags behind" schools like La Salle University, Thomas Jefferson University, and the University of the Sciences. More than 2,100 campuses throughout the nation are smoke-free, according to the report. The University of Pennsylvania lists a tobacco-free policy on its website. At Drexel, tobacco use and sales are also prohibited on campus property.